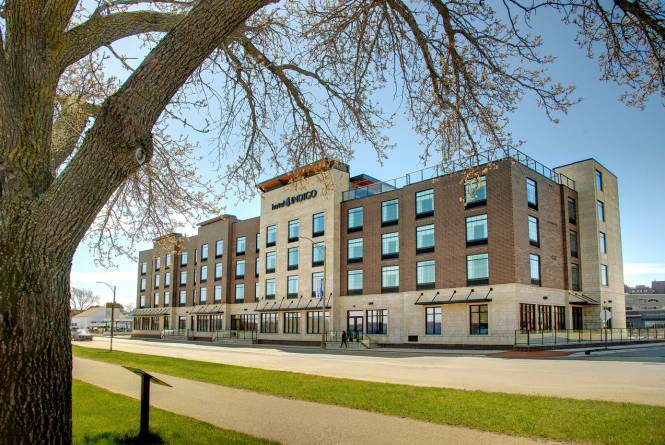 The Hotel Indigo reflects the vibrant spirit of the downtown waterfront Traverse City Warehouse District neighborhood. 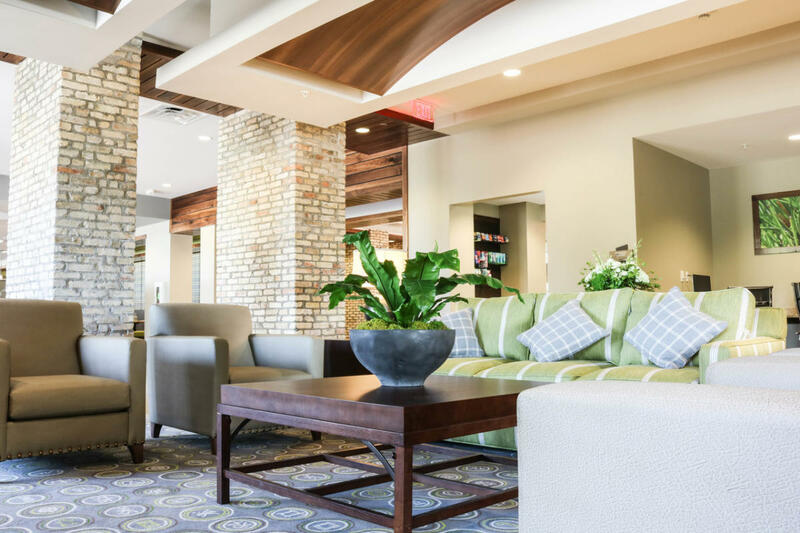 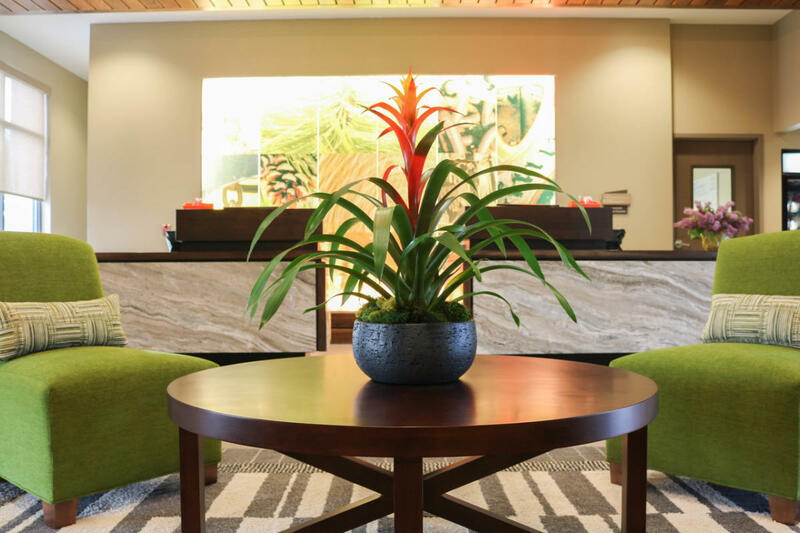 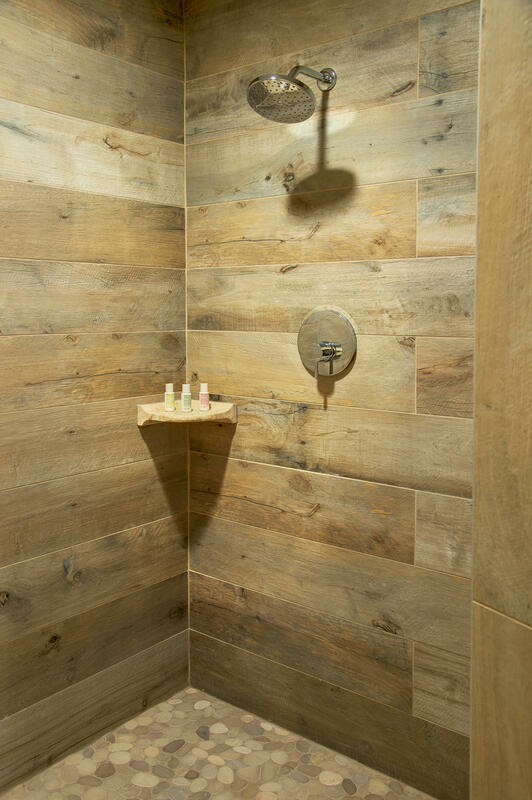 The 107 inviting guestrooms and suites reflect the history of the area and feature hard-surface flooring with area rugs, oversized murals, and spa-inspired showers. 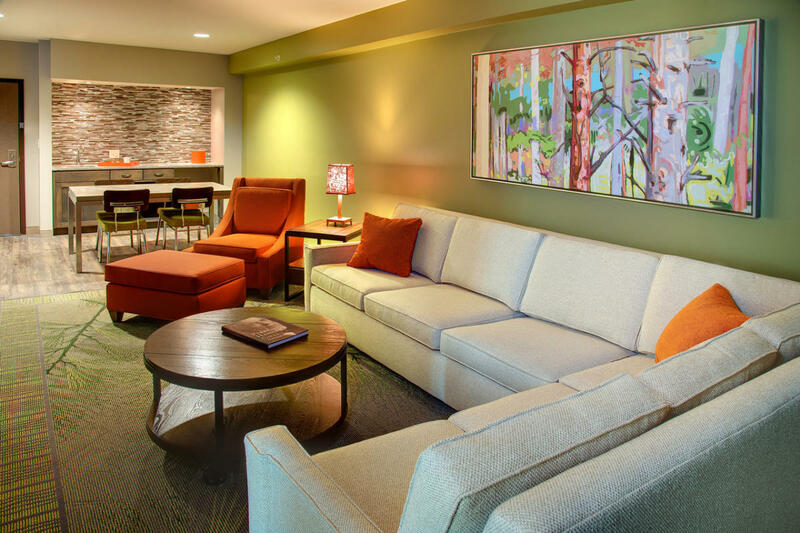 Complimentary Wi-Fi, 24 hour fitness studio, Business Center. 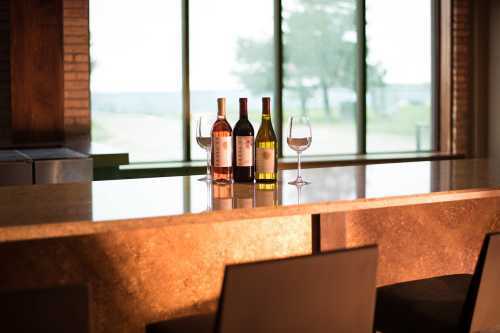 The warehouse kiTChen + cork – a full-service restaurant and lounge – offers sophisticated casual dining for breakfast, lunch and dinner. 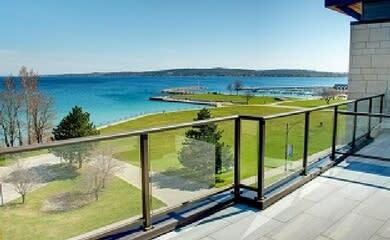 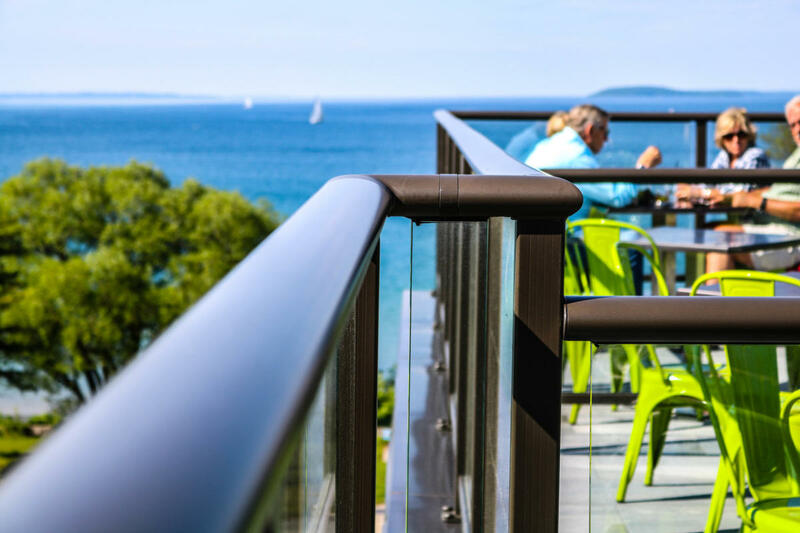 H&L Social is a rooftop bar with stunning views of west Grand Traverse Bay, weather permitting. 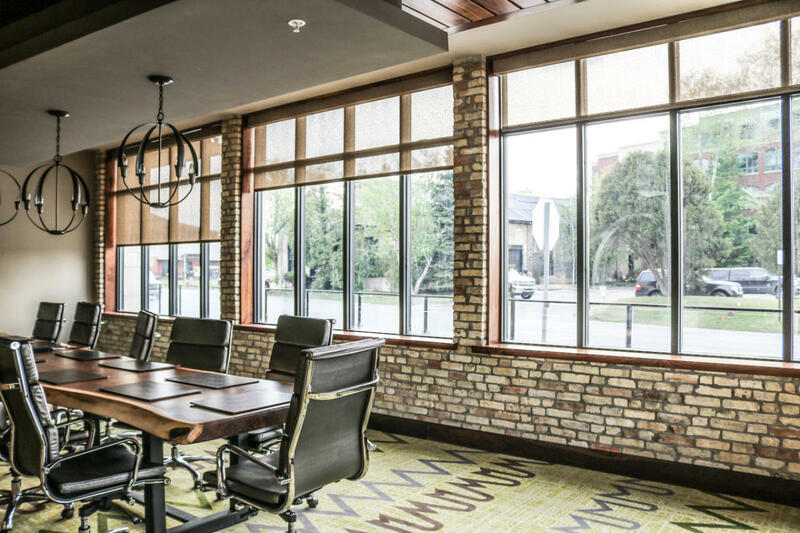 Flexible meeting and event space. 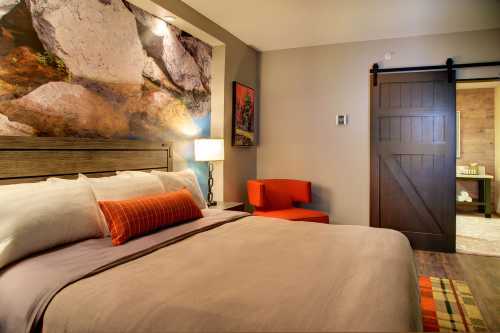 Parking garage; valet parking.